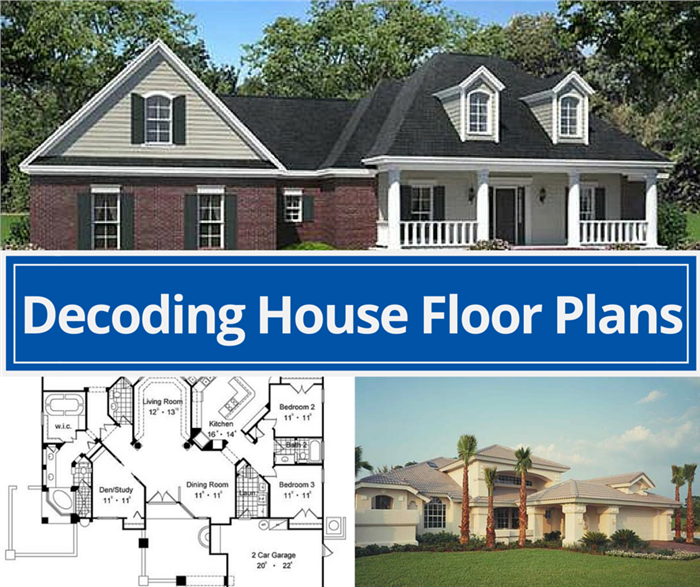 You don’t have to be an expert or an architect to understand and decode house plans. Yes, it can look like a foreign language, with codes, symbols, and abbreviations. But we will help you understand what you are looking at by tackling the most important ones you need to know. It’s not hieroglyphics. 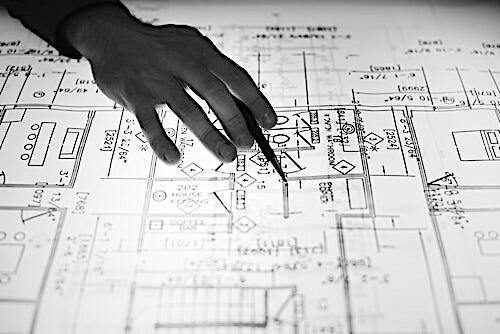 But deciphering an illustration of a house plan (seen on a light box) with its various sections and rooms can be a challenge (Photo: rawpixel.com from Pexels). First, a general definition: a floor plan is a horizontal slice through each floor of the home. The slice is usually done as a bird’s-eye view above the floor in order to capture all of the important structures in the home. The floor plan’s purpose is to give exact location and information on the home – walls, doorways, closets, stairways, fireplaces, and appliances. 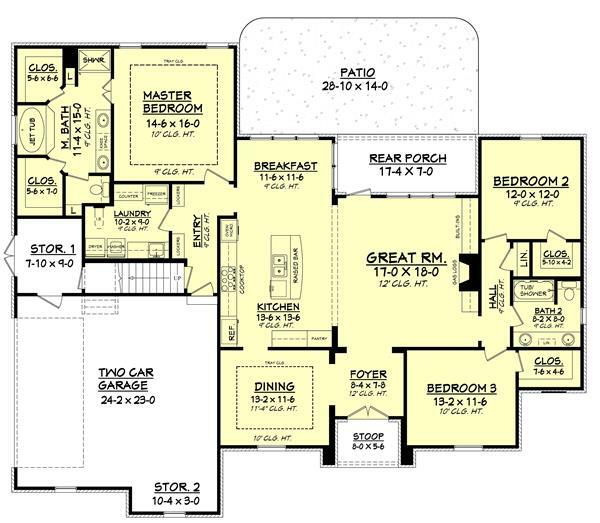 A floor plan will show you the flow of the rooms – how windows or doors align for views and much more. With a little practice looking at them, you will begin to understand how they can help you imagine yourself in the space and choose the ideal house plan for your needs. 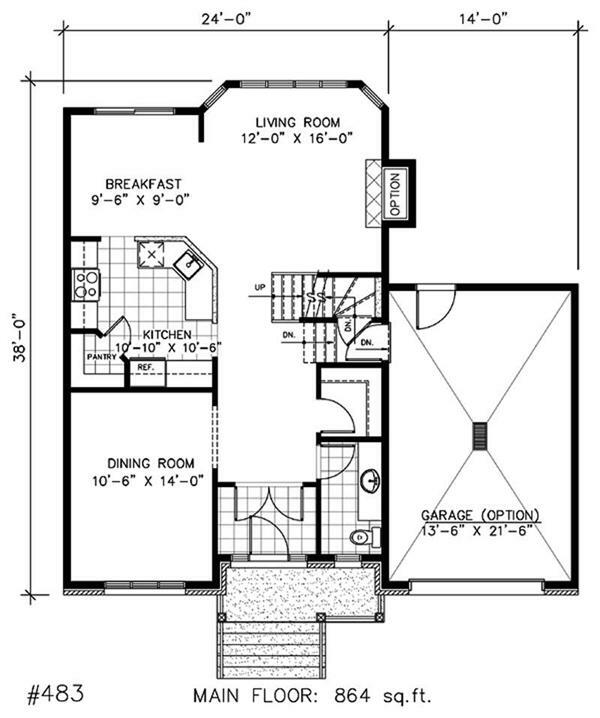 ... from looking at this floor plan (Plan # 109-1193)? In this floor plan, the solid dark lines indicate very clearly where the walls will be in the new home. 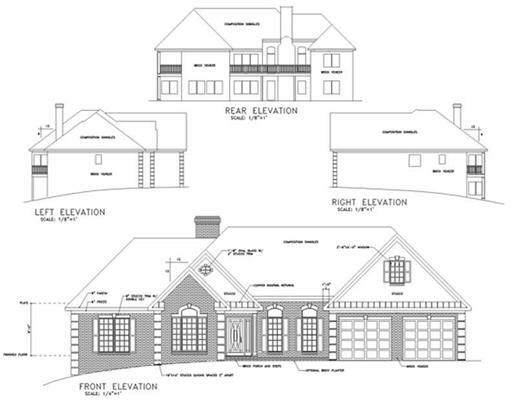 Rough drawings show the location of the various bathrooms and closets (Plan # 109-1174). In many new house plans, the parallel lines depicting walls may be darkened in to appear solid. In a plan for a remodel or an addition project, it is typical to show the existing walls of the home with two parallel lines and the new walls with a pattern or dark color between the lines for clarity’s sake. 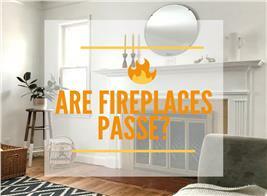 The easiest part is that rooms are labeled as to function, and dimensions of the space are often included. 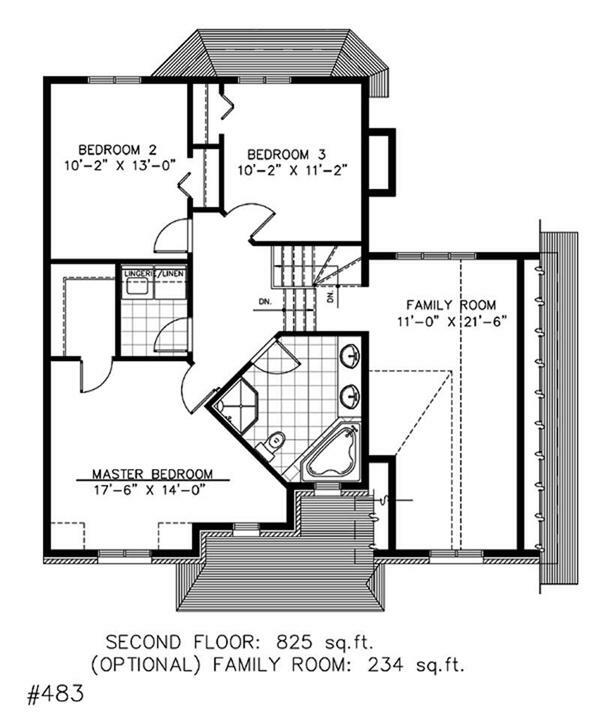 On some house plans dimensions may not be given within specific spaces of the floor plan, such as bathrooms and closets, and sometimes (on printed floor plans) a key may be given that shows the ratio depicted, say 1/4 or 1/2 inch = 1 foot. In a complete set of building plans, a lot of information will be included in the legend, which is off to the side and basically is a glossary of the floor-plan meanings. 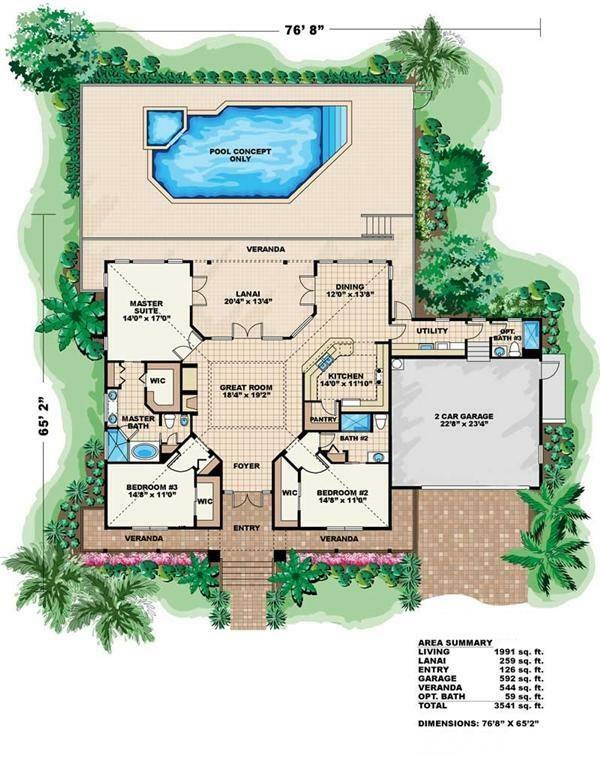 A three-bedroom Florida-style house plan includes a detailed layout of the house—from the front entry to the front and back veranda and the lanai in the rear. 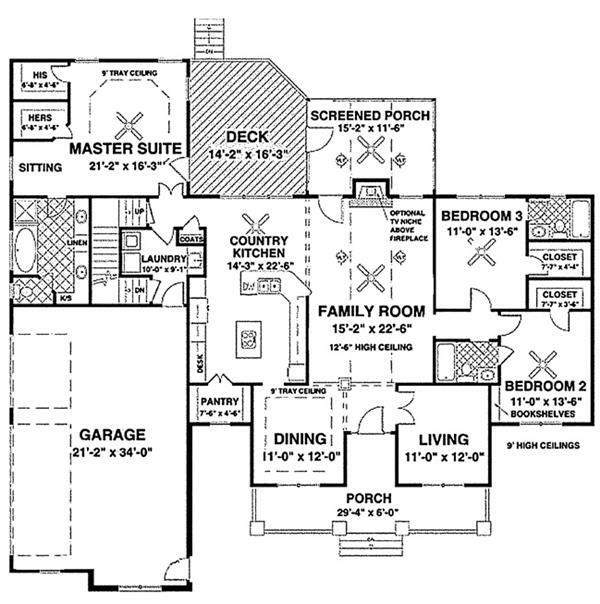 Locations of rooms and dimensions are spelled out and a list of square footage is found on the side of the plan (Plan # 133-1031). The placement of doors and windows are two of the most important elements shown on a floor plan. 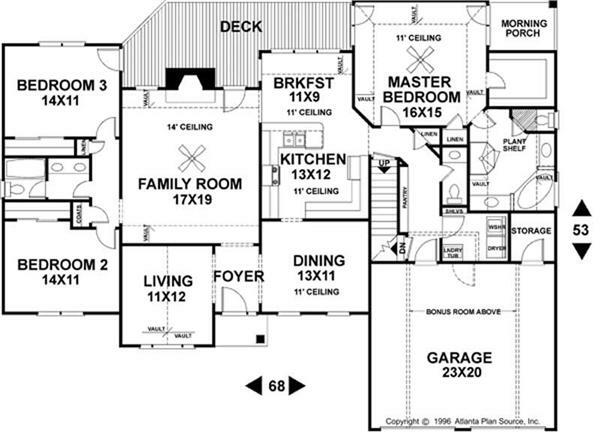 It is key to spend time and imagine yourself within the house plan moving through the space. 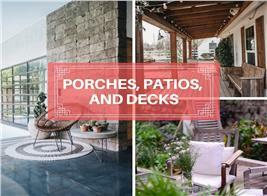 The placement of these key features can have a huge impact. Once you have located north via the symbol on the plan, think about where each room is located relative to its usage. In bedrooms, or example, are the windows located to catch morning sun, or is that unimportant to you? It may be more important that the master bedroom is in the back of the property, away from a busy street. Windows (double-hung) are usually shown with three parallel lines in a wall, which is easy to remember: think two walls and pane of glass. Casement windows may be shown with three lines but with the addition of a swing arc line like that used to show doors or with a pair of windows shown partially open. 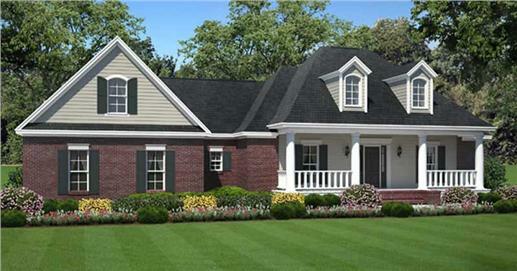 … and here are the windows in living color on the completed country-style home (Plan 141-1066). Ceilings: Some homes have higher ceilings over much of the space and a dropped ceiling over a kitchen or hallway. This is a good thing as it lends a feeling of coziness and can hide utilities in the dropped ceiling. Changes in ceiling heights are shown with dashed lines over the area that has a change. Actually anything above that 8-foot cut-off line is shown with a dashed line. So you might notice dashed lines in a bedroom that has coffered ceilings. Also note "open to below" used to show a balcony overlooking a high ceiling space—like a great room. You may in that case notice the dashed lines, which show the ceiling of the open room. Ceiling heights in each room as well as stairs are shown here—look above the two-car garage section and check out the parallel lines showing the stairs. Another place to review is the section marked “Stoop”—with the parallel lines indicating stairs (Plan # 142-1094). Stairs: Staircases are depicted in a house plan by a series of parallel lines, a staircase also has an arrow and are labeled “up” or “down” to indicate change of floor levels. So if "down" there is a floor level below. Flooring: Some residential floor plans will show expected flooring whether tile or wood via a simple pattern. That also helps you to get a greater sense of scale of the floor plan. Fixtures: Bathtubs, sinks, toilets have symbols that approximate their shapes and, as such, are pretty straightforward. Drawings of bathroom fixtures—sinks, tub, toilet, shower—are very straightforward, as you can see in this floor plan (Plan # 158-1063). Various kitchen appliances have their symbols, and upper cabinets are shown with dashed lines just the way ceilings are depicted. 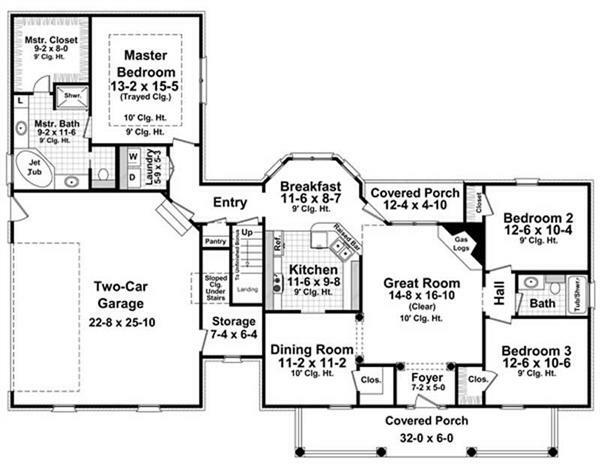 Take a quick glance at the kitchen diagram of this two-story Victorian home. 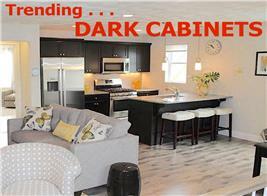 The breakfast nook, pantry, cooktop, sink, and refrigerator are depicted clearly. The dishwasher, usually labeled “DW,” is shown as a square with an “X” in this floor plan (Plan # 158-1063). Site plans—diagrams of the exterior of the home site in a bird’s eye view showing the landscape, slopes and gradients, and trees and rocks surrounding the structure. Elevations—diagrams of the house showing spaces looking horizontally forward, rather than in a bird’s eye view as in floor plans. 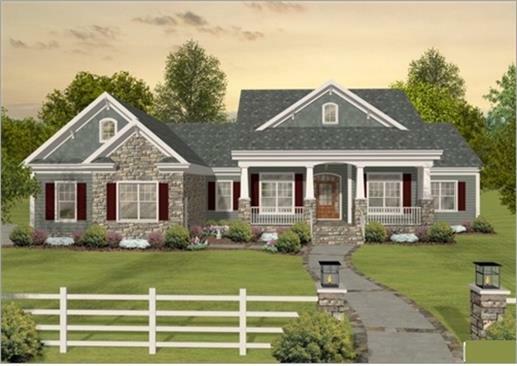 The various elevations of a three-bedroom ranch house plan give a good view of the house from the front, rear, right, and left (Plan # 109-1174). When you know how to interpret floor plans and decipher what you are looking at, it will be that much easier for you to find your Dream Home!